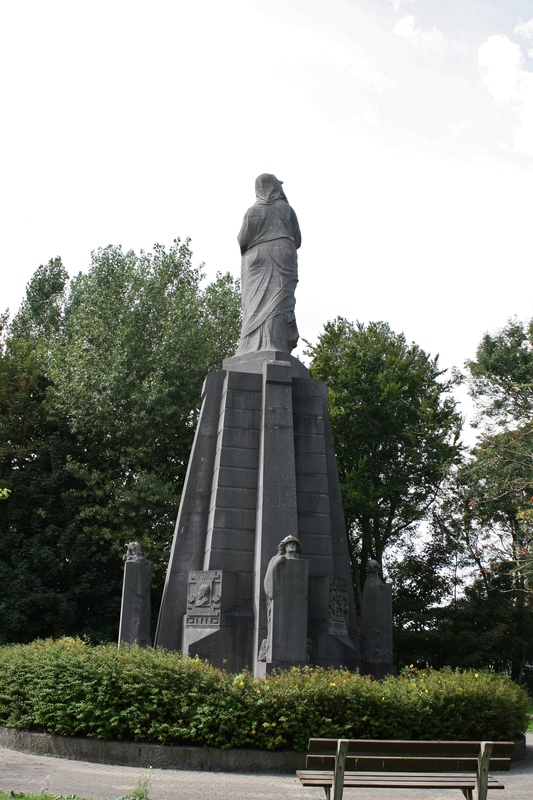 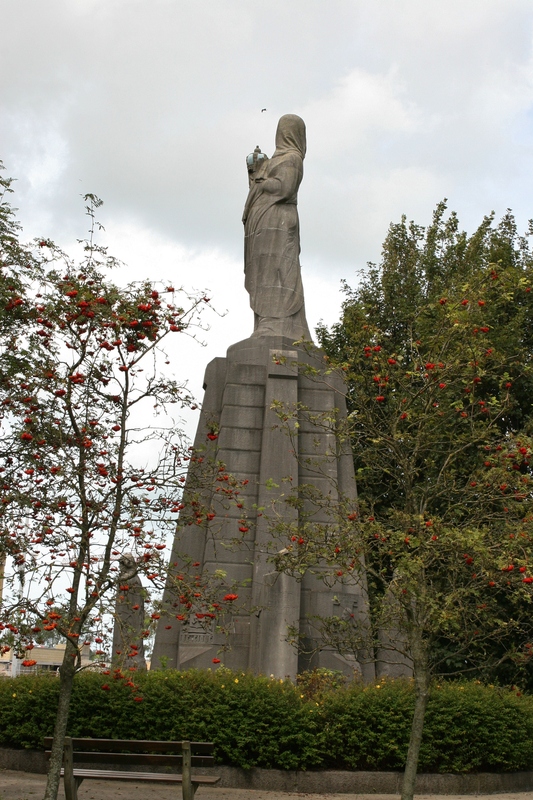 The Yser Memorial remembers the men of the Belgian Army who lost their lives during the Great War. 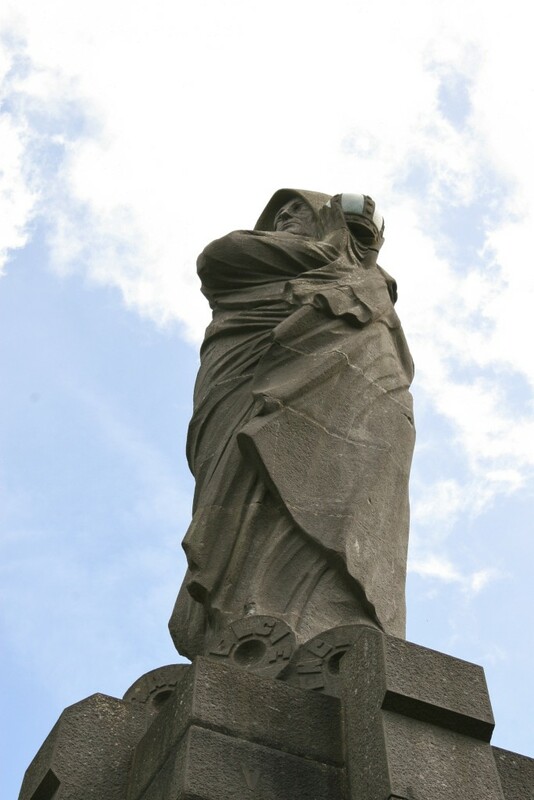 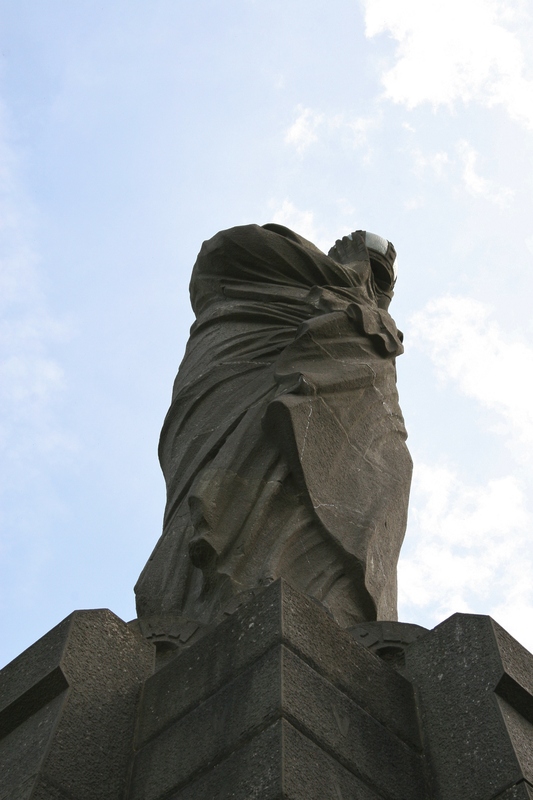 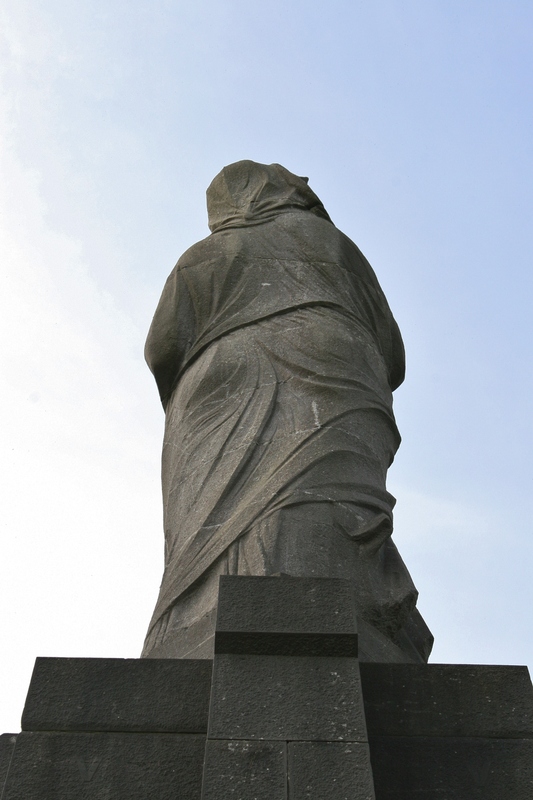 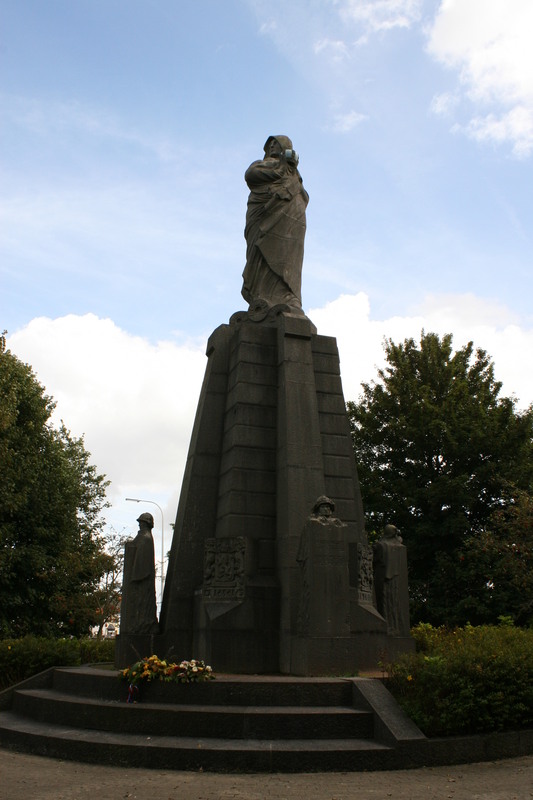 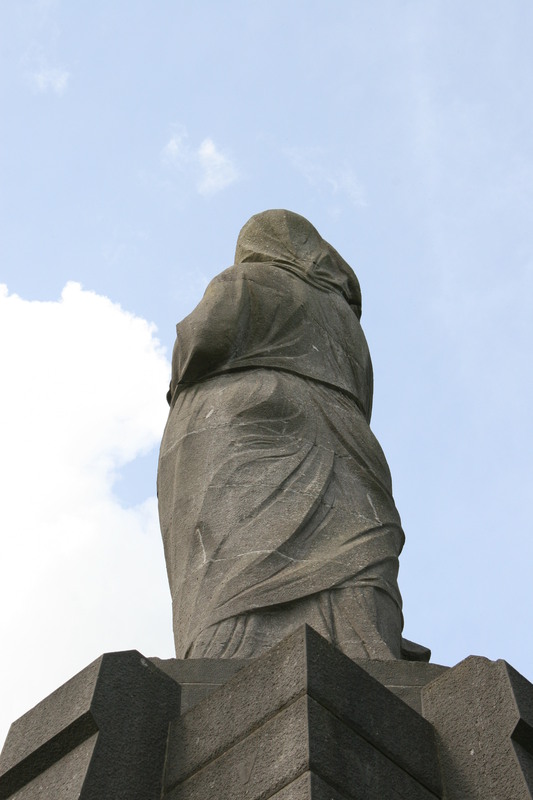 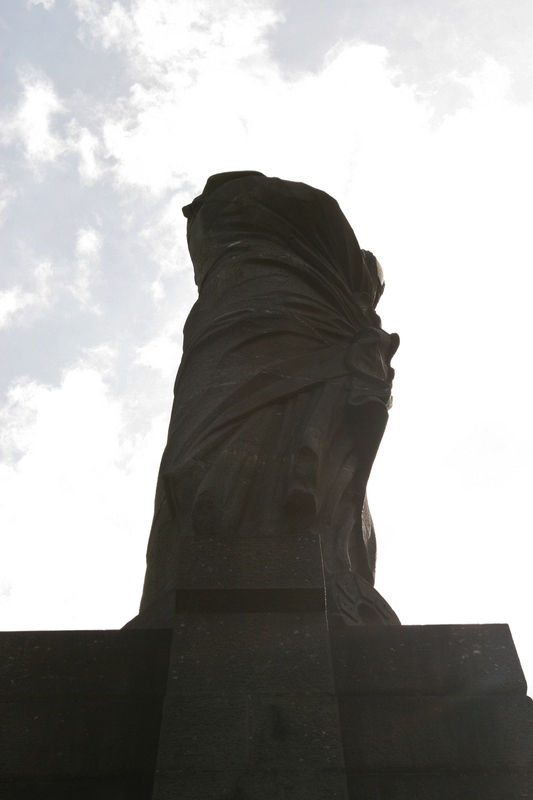 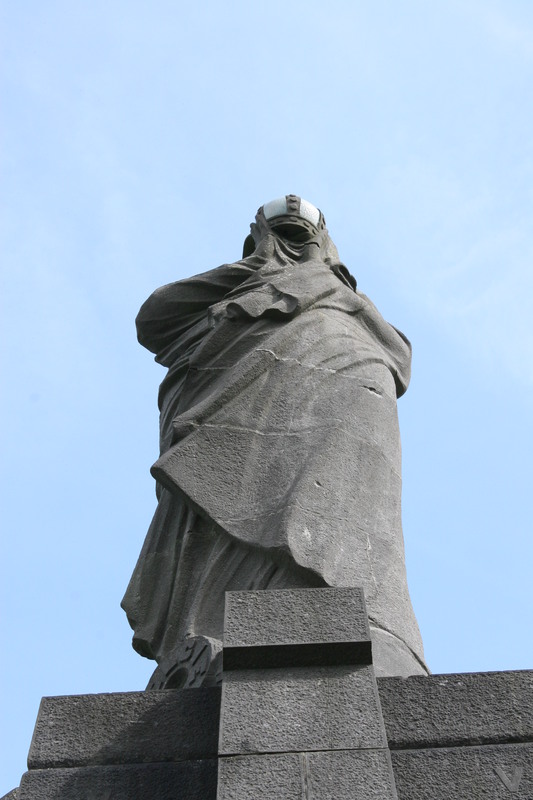 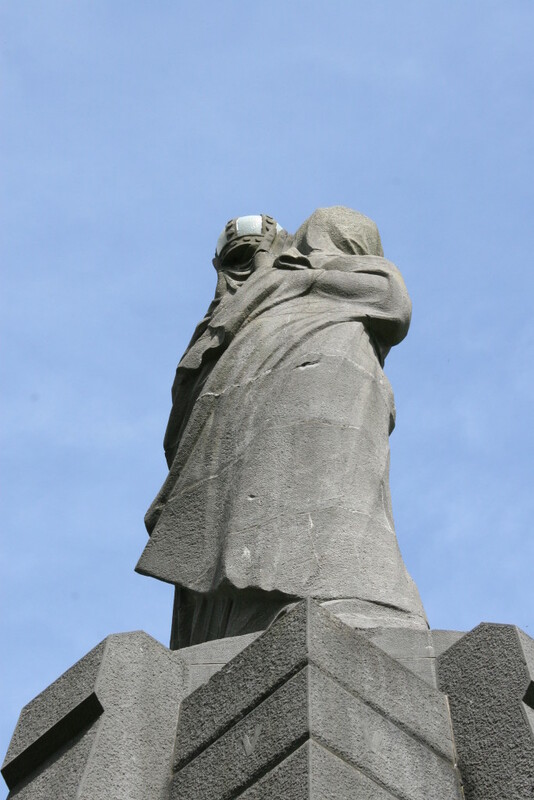 Atop the memorial, the figure of La Belgique turns away, shielding the Belgian crown from the view of the invader. 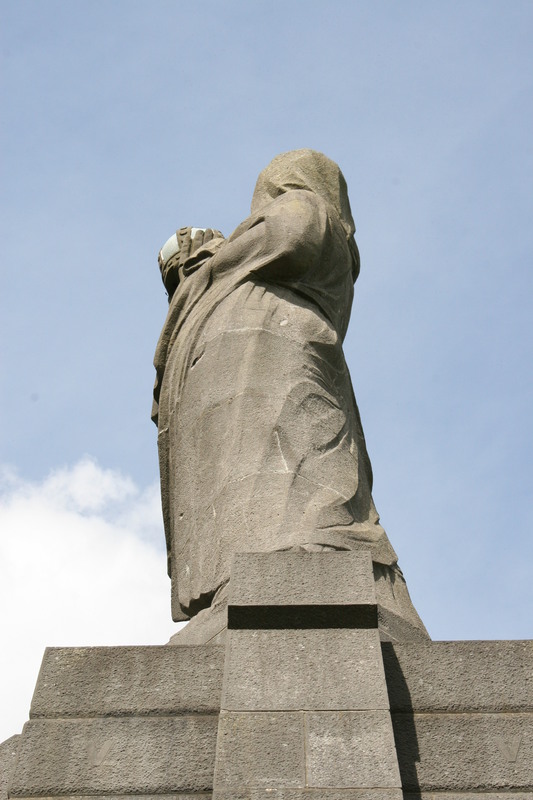 At each corner of the memorial stands the figure of a Belgian soldier. 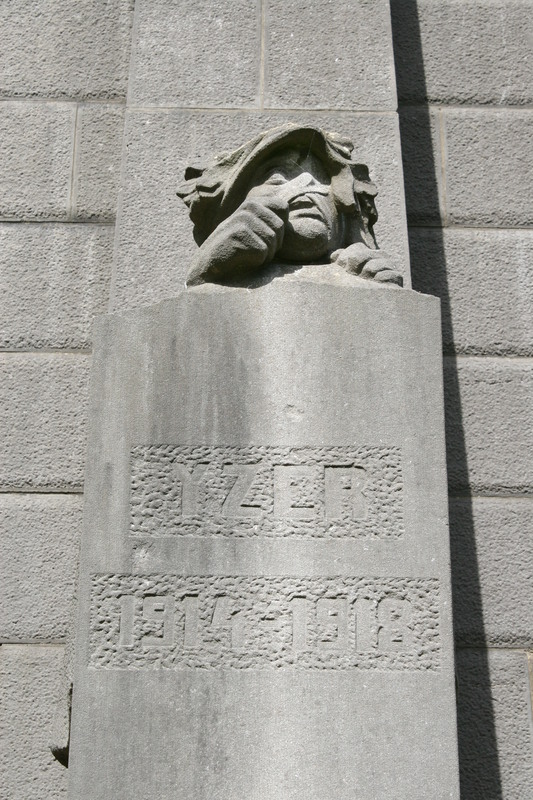 The soldiers show the effects of their experience of war. 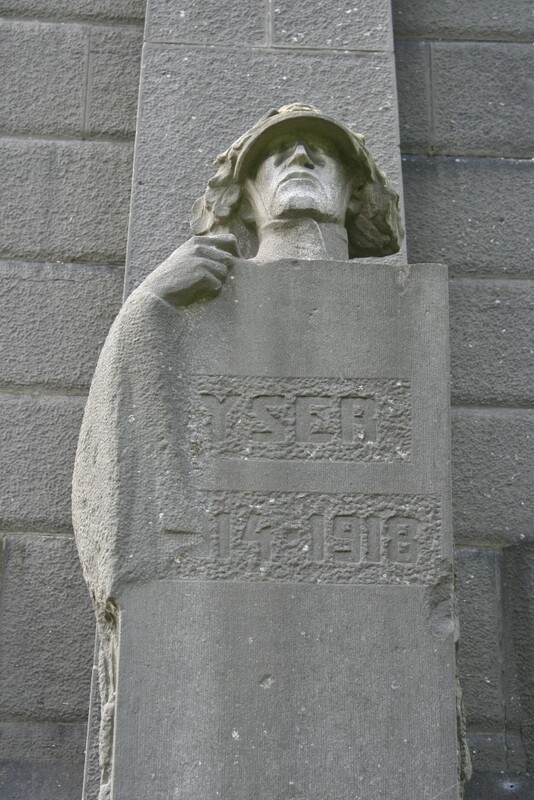 This man is depicted suffering from sickness, perhaps of war itself. 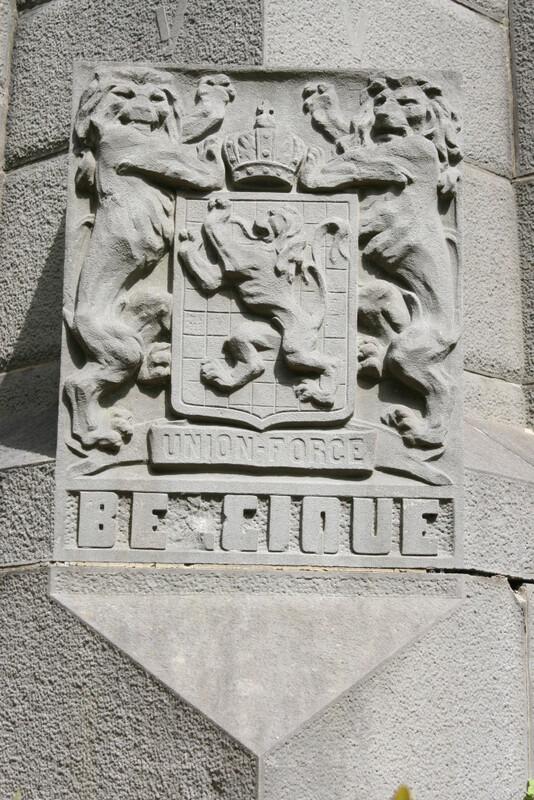 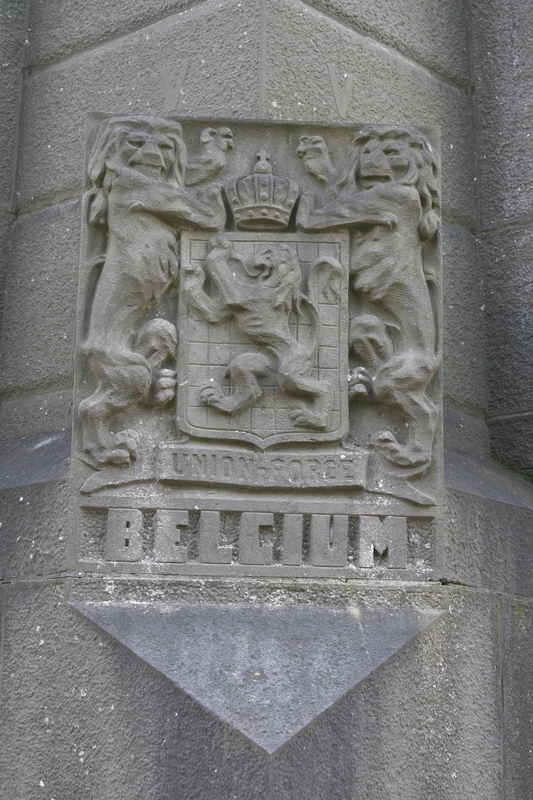 It wouldn’t surprise me to learn that the missing ‘l’ in ‘Belgique’ is a casualty of a later war. 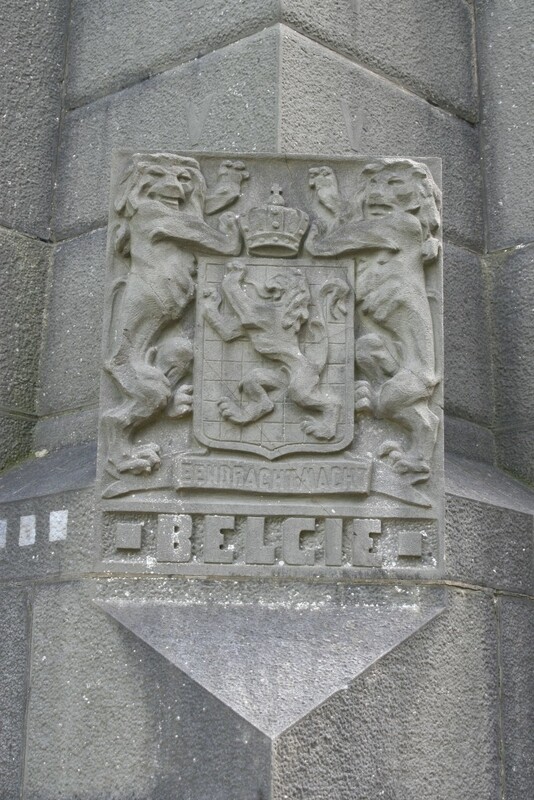 By the way, you might have noticed that the inscriptions on the memorial are in both French and Dutch – the Belgian Army was made up of Walloons (French speaking) and Flemings (Dutch speaking) – and, as you will see later, in English. 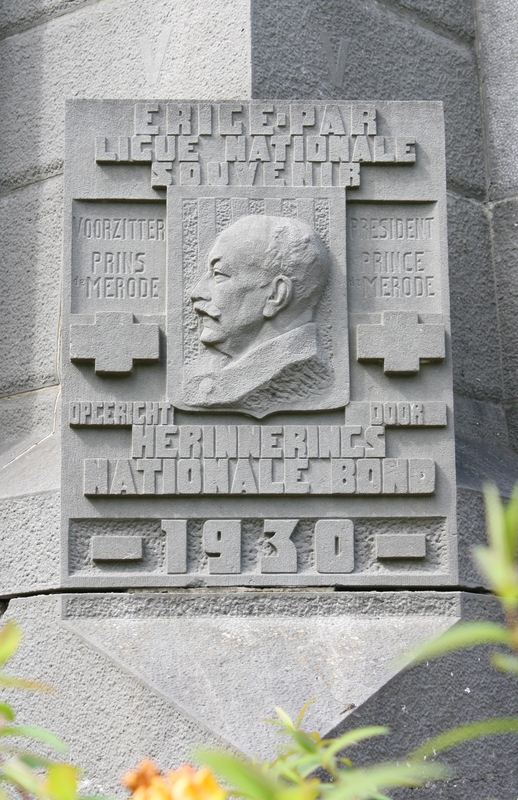 The memorial was inaugurated in October 1930. 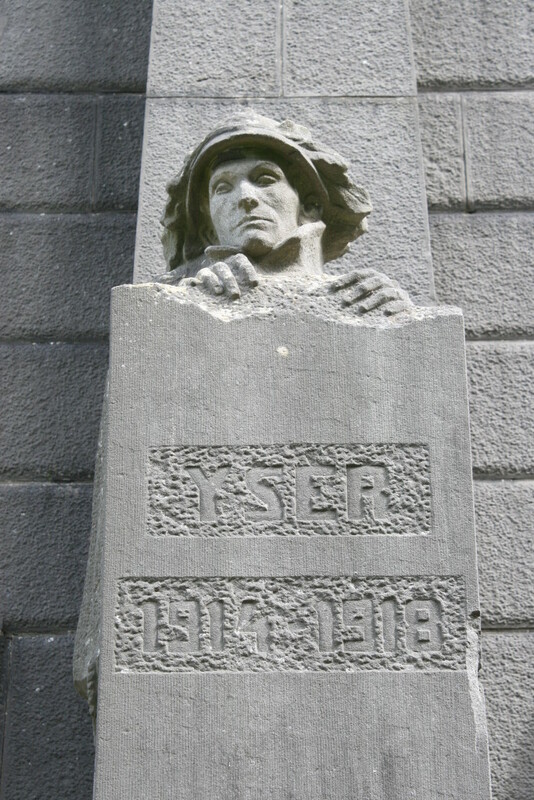 This soldier is fit, stoic, ready to return to the fight. As I said earlier, English too. 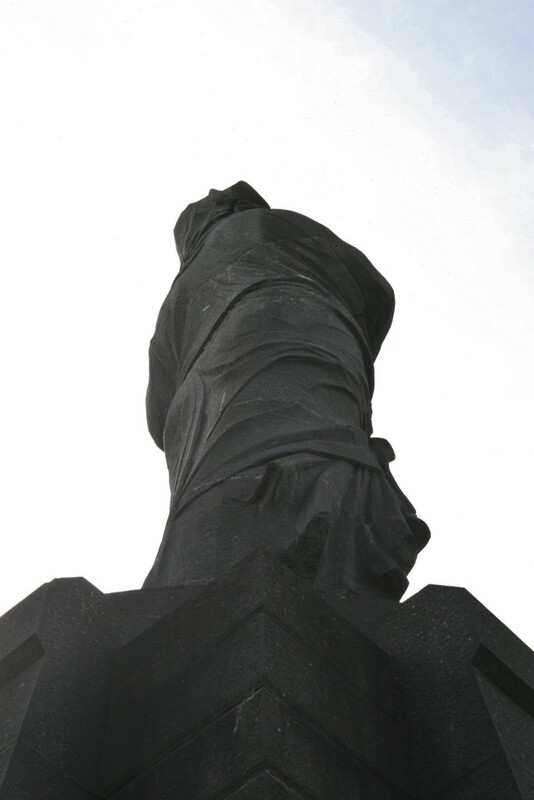 The fourth soldier will never fight again. 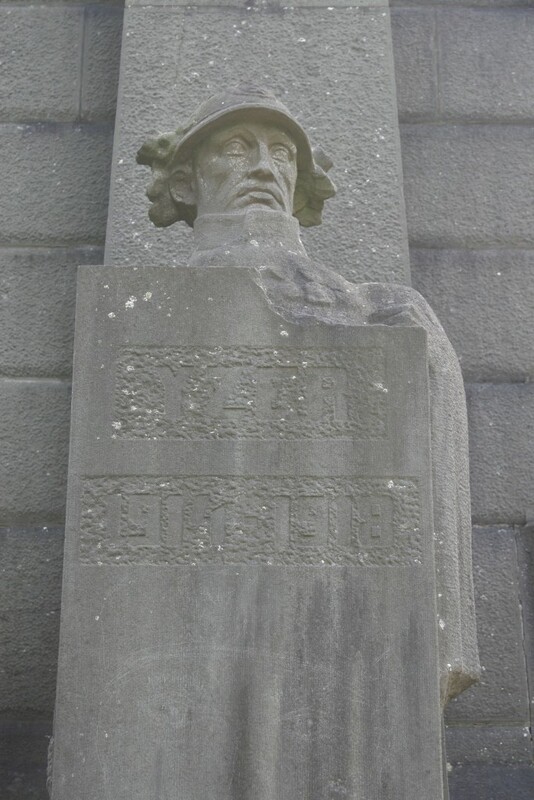 He is blind. 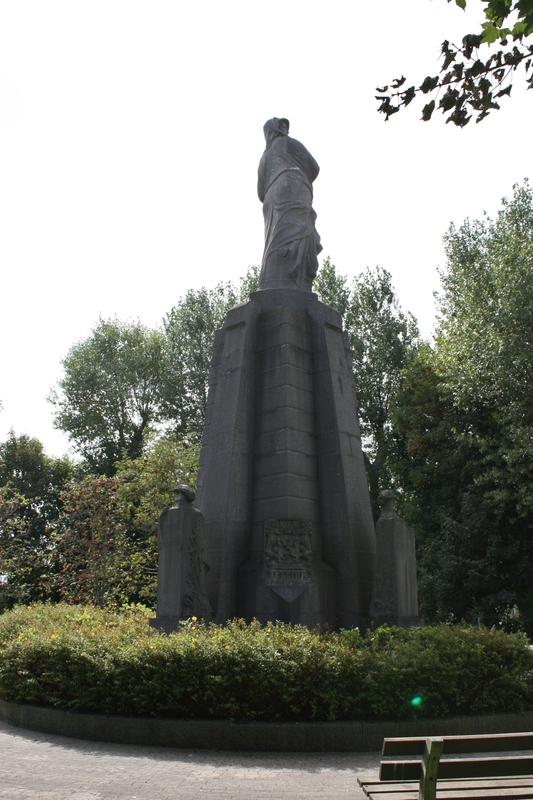 The Belgian Army lost just over 41,000 men during the Great War, nearly 24,000 of whom were killed in action. 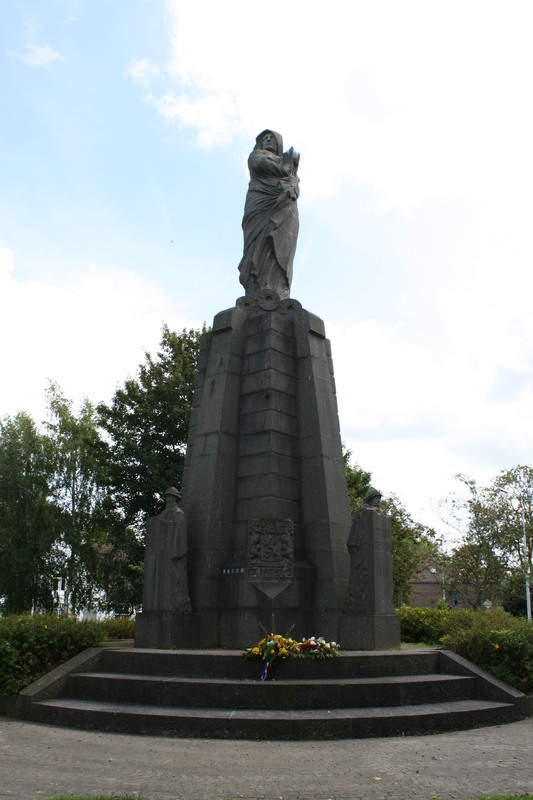 Almost 7000 died of their wounds, and a further 10,000 of sickness. All are remembered here. 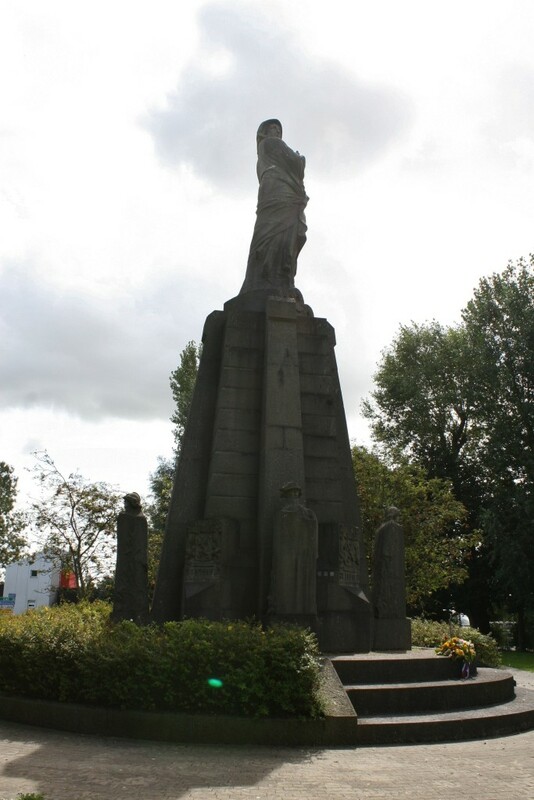 Next, we pay a visit to Nieuwpoort Communal Cemetery. 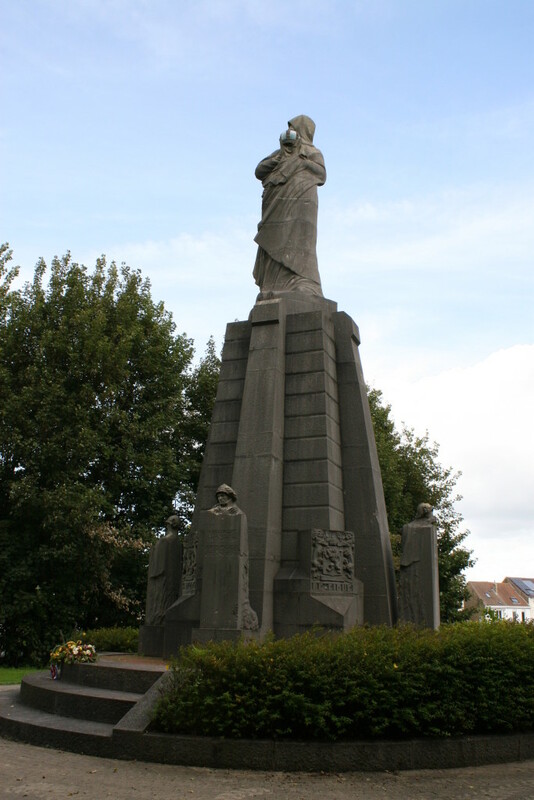 However, should you wish, although not strictly part of our tour, there are a couple of other places of interest a short distance along the coast to the west, one a war memorial, the other a cemetery, that you might like to see before we continue our journey south.